Buying from only one manufacturer has been a central tenet of Southwest’s business plan since founder Herb Kelleher bought his first 737s in 1971. 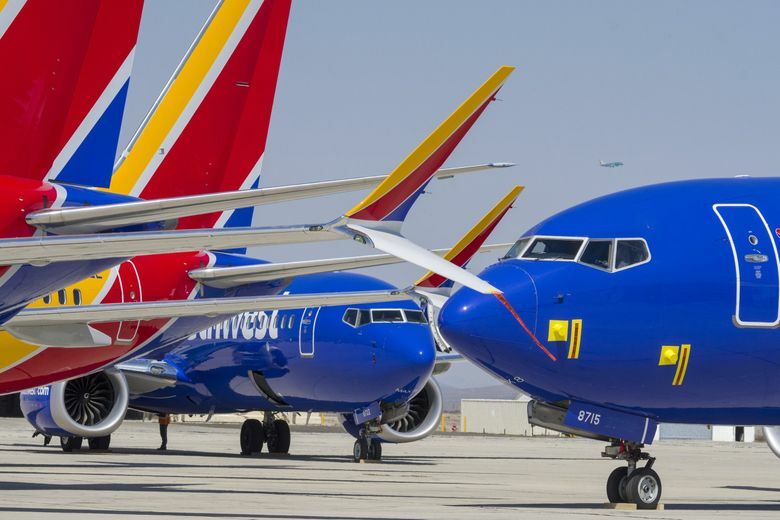 Today, Southwest is the largest operator of 737s, with more than 730 in its fleet — including 34 MAXs currently stranded on the ground in Victorville, California. If Southwest were to buy Airbus jets, shock waves would ripple from Dallas through Chicago to Seattle. It would not only hit Boeing’s business profoundly but would also have enormous cost implications for Southwest. Jon Weaks, president of SWAPA, the Southwest Airlines pilots union, sent out the memo after a three-hour meeting with the head of the Federal Aviation Administration (FAA) and some of his technical experts. The meeting, also attended by representatives from the other U.S. MAX operators, American and United, updated airline executives and pilots on the MAX crisis. The letter reflected anger among pilots at the original design of the new flight control software on the MAX that has been implicated in causing both crashes and the lack of information about it before the first crash. That software system — called Maneuvering Characteristics Augmentation System, or MCAS — was activated by a single faulty sensor and kicked in multiple times on both the Lion Air and Ethiopian Airlines flights. On each jet, it repeatedly swiveled the tail and so pushed the airplane’s nose relentlessly down. Before the first crash in October, MCAS was never mentioned in Boeing’s pilot training and wasn’t in the MAX flight manuals. The pilots at Southwest and American were particularly vocal in criticizing Boeing for that omission. “Boeing will, and should, continue to face scrutiny of the ill-designed MCAS and initial nondisclosure of the new flight control logic,” Weaks wrote Friday. Dennis Tajer, an American Airlines captain and spokesman for that airline’s union, the Allied Pilots Association, who also attended the FAA briefing, said American’s pilots share Weaks’ anger at the way MCAS was implemented and not disclosed to pilots. “MCAS was a monster,” said Tajer in a phone interview after the meeting. Questioning Southwest’s exclusive Boeing fleet was the most surprising issue Weaks raised in his memo, but not the only controversial one. He also said the FAA should review the way it delegates oversight. “Congress will have to debate their 2004 decision where they granted the FAA authority to expand the role of aircraft manufacturers … delegating much of the FAA’s regulatory oversight to the companies it oversees,” Weaks wrote. However, he conceded this may be impractical. The process of FAA delegating oversight to Boeing “may be too ingrained to reverse and further complicated because of the FAA’s budget and lack of available and qualified personnel,” Weaks wrote. As for the outcome of the three-hour FAA meeting, Weaks said Southwest is “standing by for further guidance from the FAA” as that agency’s Flight Safety Board continues to evaluate Boeing’s proposed software fix as well as its proposed training course to bring pilots up to speed on the changes. American’s Tajer said the meeting was headed by acting Administrator Daniel Elwell along with a team of technical experts. The airlines sent pilots and flight operations technical staff, “the folks in the foxhole,” he said. The meeting covered the public information on both crashes, then a review of the original MCAS design and the planned update Boeing is currently testing. Finally, they reviewed the computer-based pilot training program Boeing is planning to bring pilots up to speed. Tajer said the atmosphere was very open, with all questions welcomed. But he said no timeline was indicated for getting the MAX back in the air.